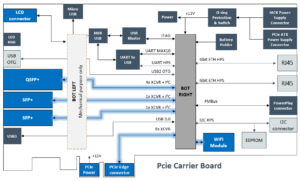 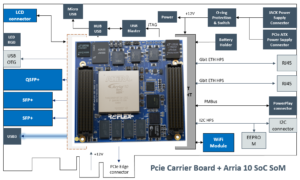 The PCIe carrier board Arria® 10 SoC SoM provides access to all the features of the systeme on module based on Arria® 10 SoC (Ethernet, OTG USB, Transceivers, UART) and adds further functions, including SFP+ connectors, PCIe x8 Gen3, USB3.0,Wifi interface. 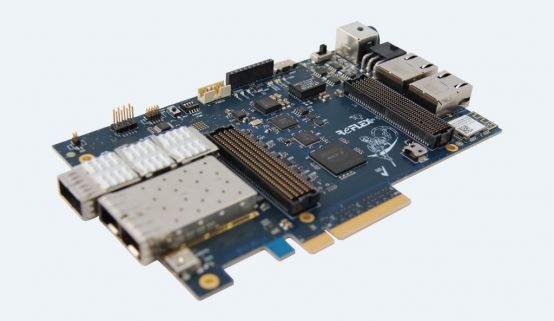 This PCIe Carrier Board is an optional extra product for clients looking for a PCIe format card. 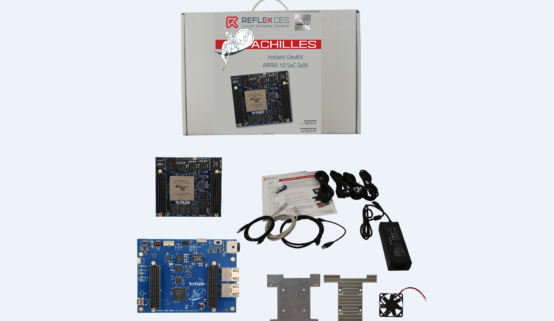 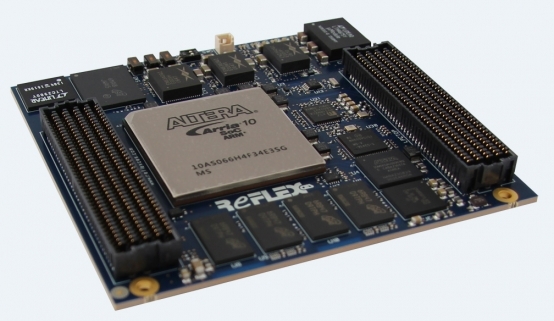 Any of REFLEX CES Arria® 10 SoC SOM's (including the Achilles DevKit) can be used in conjunction with the PCIe Carrier Board. 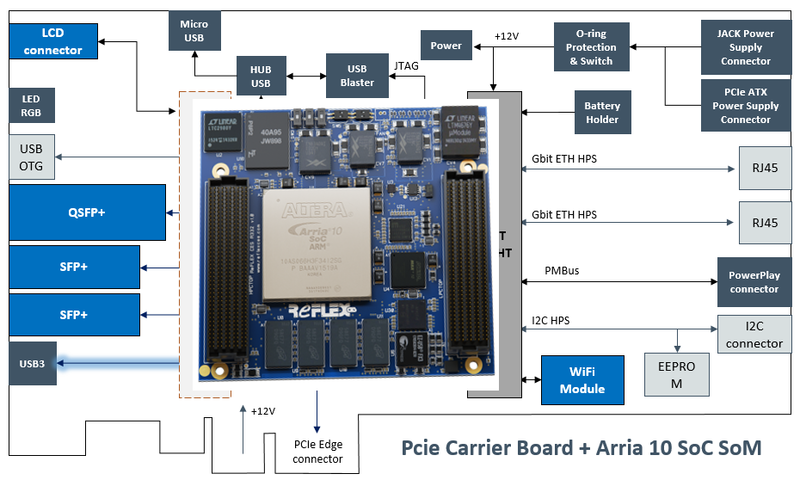 We also can propose the design of a custom Carrier Board. 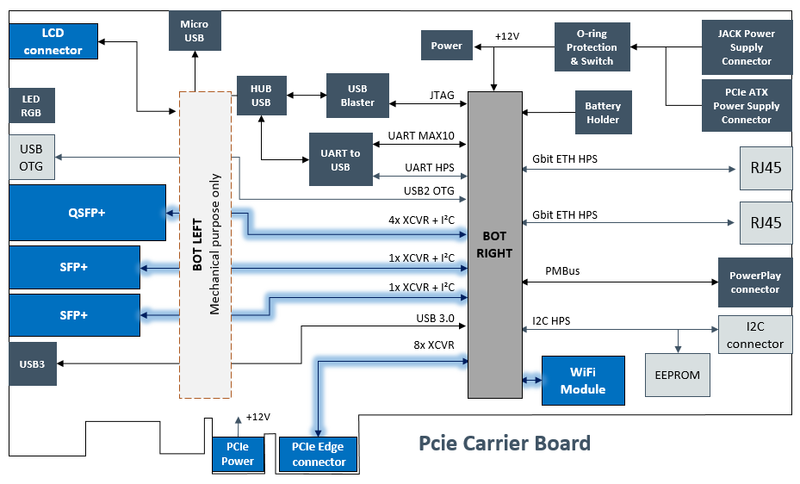 Onboard USB Blaster JTAG configuration circuitry to enable FPGA configuration over USB connector.